One of the fountains of mineral water that put Saratoga Springs on the map. 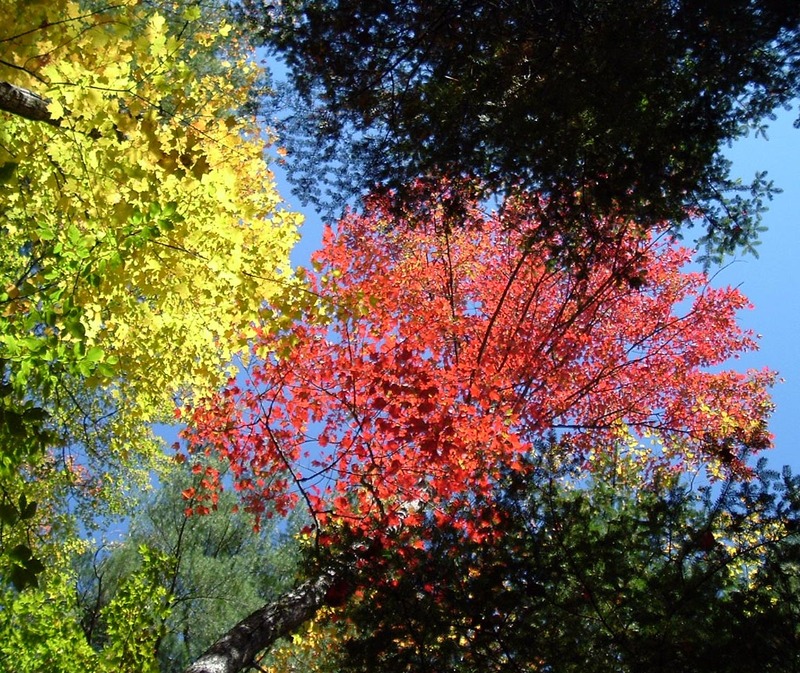 Fall foliage along Route 9 north of Saratoga Springs. The Adirondack Mountains surround beautiful Lake George near Bolton Landing. 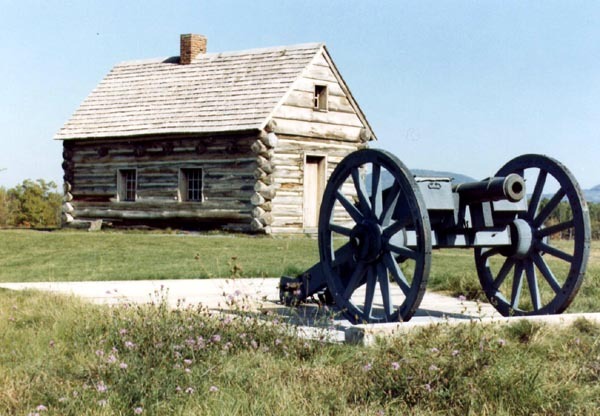 Cannons have been protecting Fort Ticonderoga since the 17th century, the site of conflict involving French, British, American rebels, and Native Americans. Sunset over Lake Champlain, seen from the Vermont side, with the Adirondacks in the distance. 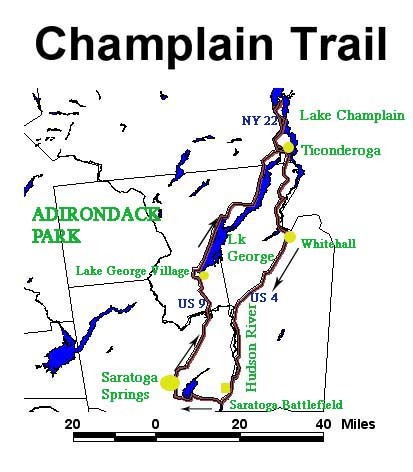 The Upper Hudson and Champlain Valleys were important stops on the Underground Railroad. Was this sign a hidden code to Freedom Seekers? 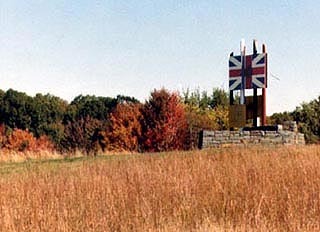 Saratoga National Historic Park, site of a victory over the British Army that changed the course of history. 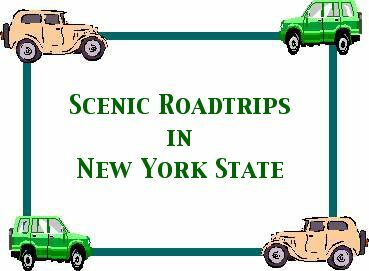 A scenic road trip along the shores of Lake George, Lake Champlain, and the upper Hudson River. The countryside around Lakes Champlain and George also border on the Upper Hudson River, much different in character than the estuary far downstream. The scenery here is some of the finest in the state, since the Adirondack Mountains loom always in the distance. 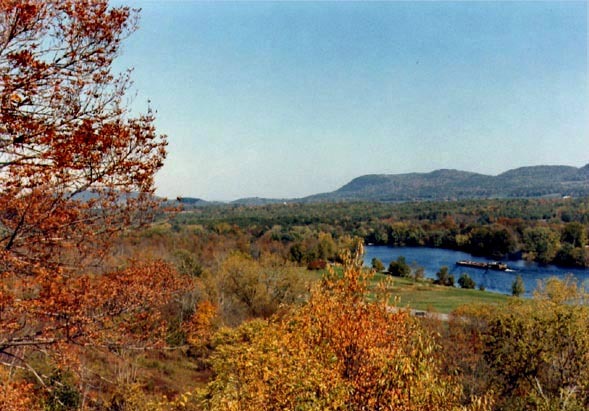 It is also a place of history with battles in both the French and Indian War and the American Revolution. 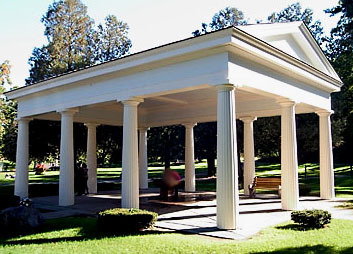 Your trip will take you through two renowned tourist towns, Lake George Village and Saratoga Springs. Get ready for an adventure! This very scenic and historic road trip begins in the city of Saratoga Springs, home to horse racing and spas. See a race and at least taste the mineral waters before heading north on U.S. Route 9. Soon you pass over the Hudson River, which is beginning to look like a mountain stream. It should since you are in the foothills of the Adirondacks. Just before arriving in Lake George, take the drive up Prospect Mountain. It's a great way to get the "lay of the landscape." 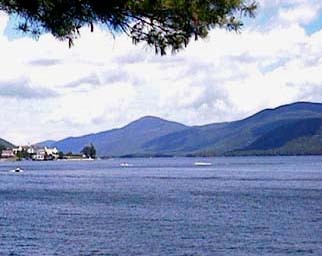 The village of Lake George is a very busy resort town. There are plenty of shops and "tourist traps" to keep you busy for hours. 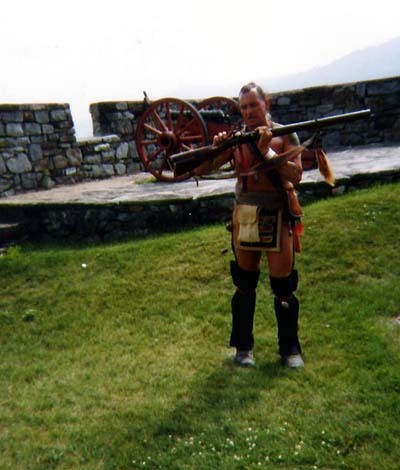 For the historic minded, make sure you visit Fort William Henry. Take Rte. 9N out of the village. 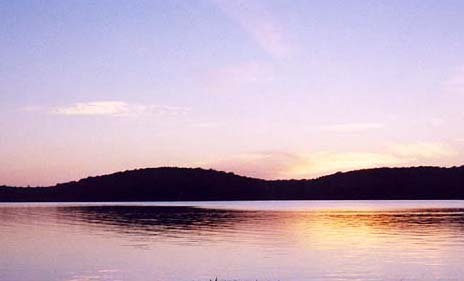 It follows closely the shoreline of Lake George. This is certainly one of the most scenic drives in the northeast. When the lake ends you enter the Champlain Valley and the village of Ticonderoga. 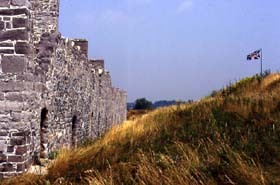 Located just outside of town in the old fort of the same name. It is a must visit on this road trip, especially for families. Continue northbound following Lake Champlain to another colonial relic, the ruins of Crown Point. Nearby is the Champlain Bridge into Vermont. Whitehall is also the terminus of the Champlain Canal, which connects the lake to the Hudson River. 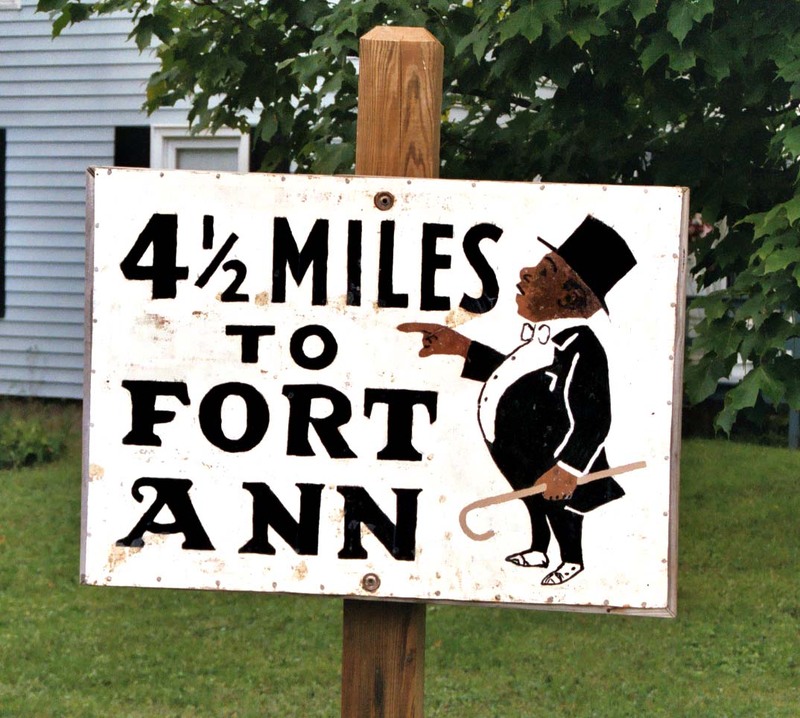 As you drive south on US Route 4, you follow the canal and you pass some sites from the Underground Railroad (webpage coming soon!). You cross the Hudson River at Schuylerville, where there is a monument to victory at Saratoga. But the actual battlefield is a few miles south. Make sure you start at the Visitor Center. Park rangers can orient you about the auto loop through this very important historic place. Rte. 9P will return you to Saratoga Springs, where there are plenty of cultural and fun activities to enjoy after a day on the road.